New functionality! Attracting followers of competitors. Choose Instagram accounts of your direct competitors and Zen-Promo will make a list of their followers and will invite them to you! 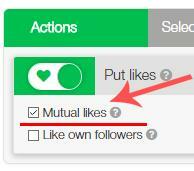 For choice: to like followers of competitors, follow them or write comments on their posts.